Recently, Google has announced the much awaited phone called gphone. The phone features a camera, built-in WiFi, 3G and GPS capabilities. It's belived that the search engine gian has already spent hundreds of millions of dollars prototyping cell phones tailored to its search, email and a planned new browser. Google phone lends further credence to those who believe Google’s next step is to become a phone and internet service provider. The company has been widely reported to be buying up dark fiber across the US. With the launch of gphone, the biggest players like Apple, Nokia, will soon face a threat of market share. Unlike Apple's iphone that costs $500, ghone costs 4 times lower than this which is $100 that uses Google search, Google Maps, GMail and the Google Talk VoIP service that lets users make free or very cheap phone calls over the Internet. The 1:1 applications between Internet and Mobile application has led the giant search engine to predict that people in large would log in to the Internet through their mobile than by computers. A week later, Yahoo! has already released an updated version of e-mail service that enables users to send SMS from their PCs to mobile phones. 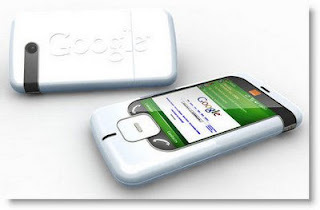 Soon Google phone will open the door for many marketers for phone shopping or mobile commerce (m-commerce). So, the future of internet marketing integrated with mobile commerce will have some peak time down the years.